We have a wide range of art activities this summer for toddlers on up! ADULTS ARE WELCOME TO ATTEND ANY OF THE HIGH SCHOOL LEVEL ART CLASSES. AGE 2-5: Art activities are included each week in our summer Preschool program! You can join us for morning (9:30-1:00) or afternoon (1:00-3:30) sessions. Click here for more on our summer PreK programs. It's art. It's big. And it's MESSY! In this class we will finger-paint, foot-paint, splatter-paint, create giant sculptures, and generally have a wonderful, messy time. We'll be exploring the creative art process, so some of our projects you may not want to take home with you- but we'll take some pictures of the activities for you to enjoy! We may sneak some science experiments in too! Be sure to wear very old clothes, because we WILL get dirty!! Students will work with a variety of techniques including drawing, painting, sculpture, and mixed media and will learn about principals of design such as color, shape, line, value, and texture. We'll use a wide range of materials including chalk pastels, oil pastels, charcoal, watercolors, acrylics, and much more. The activities in this class will help foster a lifelong love of art and the creative process, and will also be lots of FUN! In this camp we will create dazzling works of art - using paper! 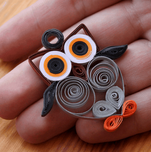 We'll make beautiful designs through quilling, try our hand at origami, and explore a variety of collage techniques. We'll even make our own handmade paper and bind it into books. Your child is sure to come away with a new appreciation for paper as well a new skills they can continue with at home. The complexity of the projects will vary by age group. This class will explore beginning jewelry making techniques. 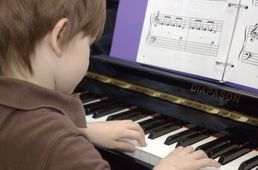 Students will work at the appropriate level for their age and skill level. This class will introduce students to a variety of watercolor techniques. We'll learn about wet on wet, wet on dry, dry brush, dry on wet, flat wash, graduated wash, variegated wash, masking, and layering colors. We'll work with watercolor technique as well as tips for creating landscapes. We'll even explore some fun techniques with plastic wrap and salt. In this fantasy themed class we will create a variety of fantastic creatures as well as magnificent landscapes for them to live in. While we are creating we will learn about color theory, shading, and different types of materials. We'll create through drawing, painting, as well as sculpture. It's a fantastic adventure to enjoy! This class will explore a variety of printmaking techniques. We'll carve stamps and use them to create custom tile coasters and prints. We'll explore positive and negative prints and a variety of different inks. In this class we will create a variety of art projects for our gardens. We'll make stepping stones, windchimes, garden markers, and a sculpture for our yard. Older students (grades 6+) will also learn beginning metalworking techniques and work on creating metal flowers and bugs to brighten up your garden. In this class we will explore sculpture and design. We will work will clay and create a variety of projects. Older students will also work with carving soapstone . We'll also explore wire armatures and other types of sculpture in addition to working with clay. Your child will learn a variety of tips and techniques for drawing characters in a "manga" style. We will also explore basic drawing skills such as shading, foreshortening, and crosshatching. Students will have a chance to try a variety of pencils and markers used in the industry. Come and see the fabulous art projects we can make with textiles. We'll explore hand sewing, needle felting, weaving, and even spinning. We'll create wall hangings and sculptures and explore a variety of materials such as wool roving and specialty fibers. This is a specialty class for older students and adults. Students will explore creating fabulous and creative jewelry with textiles. Please download our summer policies on the summer registration page for more details on classes.